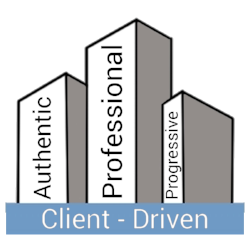 KENDELL is Client Driven - committed to our clients by providing exceptional service in all areas of the industry. Authentic - As we continue to grow and develop, we remember where we came from and know who we are. We are proud of our history, but not limited by it. Professional - With our experienced team, skilled services and long standing manufacturing partnerships as our foundation, we commit our knowledge, support and resources toward successful collaboration. Progressive - We strive to set the standard for our industry in combination with our diligence to forward thinking, we are in position to provide our clients with innovative solutions. We value our people. If you keep putting in the work, we’re going to continuously make the effort to help you advance your career with us. We are committed to your excellence. We care about our staff. We offer a full benefit package for full time employees that includes health, dental, life and disability insurance. In addition, we offer a competitive 401k package, paid holidays, VTO and PTO. We like to have fun. Every month we love having staff get together to enjoy a treat, activity or outing. We also take our Halloween Costume Contest very seriously. We want to make sure that all employees are updated on the latest news at KENDELL. Each office has a Community Board with the latest events and info, we have a quarterly newsletter called Reader’s Doorgest, and every other week we host a KENDELL Education session that can include topics from HSA’s to Hollow Metal Purchasing. We want everyone to feel that they’re part of our community. We have very open communication between departments, staff levels, and office locations that allow for an environment of growth and connectivity. We encourage staff members to volunteer and give back to their community. We believe that community involvement is important to our values and that VTO can also be a great team building activity for KENDELL employees.